Martin’s Performing Artists series of acoustic guitars are characterized by the use of a number of sustainable man made materials together with solid woods. To the purest, they might not like the sound of a fingerboard made from Richlite or a nut made of Corian. But once you play one of these guitars you realize that they actually play and sound really nice, in spite of, or perhaps because of, those man made materials. And you get the added bonus of a lower price and being better for the environment. Below is a list of all the guitars in the performing artist series. There is reasonably wide price range in the Performing Artist series with the lowest priced model being $999 (USD MSRP) and the highest being $2449 (USD MSRP). We can further split the Performing Artists (PA) into PA 5 series and PA 4 Series. The PA 4 series guitars feature solid backs and sides and solid wood necks, whereas the PA 5 series guitars have high pressure laminate (HPL) back and sides and laminate Birch necks. But you’ll see this in more detail as we look at each guitar below. These names may sound confusing at first but they are all logical and once we break down the individual guitars you should have a good understanding of the similarities and differences between these guitars. All prices are the manufacturer’s suggested retail price (MSRP) in US dollars. O.k. let’s start with the 5 series guitars and then we’ll take a look at the 4 series. Let’s start with the Dreadnought models, beginning with the DCPA5. Let’s first take a look at the name to make it easier to understand and then we’ll look at the guitar’s specs. So it’s pretty simple when you look at it. In a lot of ways this guitar is similar to Martin’s X series guitars with the major difference being that they use Fishman F1 Analog electronics and that they all have cutaways. Some of the X series models don’t have cutaways and they have Fishman Sonitone electronics. The F1 analog system is definitely a step up from the Sonitone though – so if you were going to be plugging in a lot, then the DCPA5 might well be preferable over something like the DX1AE (from the X series). Especially so if you want a cutaway too. The HPL Koa won’t make as much difference to the sound as if it was solid Koa but will make some difference to the sound – but the choice between the two might also come down to which one you like the look of the most. The last of the Dreadnoughts in the PA 5 series is the DCPA5 Black. This is very similar to the DCPA5 and the DCPA5K except for one major difference – and a couple of minor ones. The major difference is that it has an HPL top as opposed to the Solid Sitka Spruce top on the other two. In my opinion I would go for one of the solid top options (the price is the same) unless you’re really set on getting a black guitar. These are only cosmetic differences though. The first of our Grand Performance models is the GPCPA5. The major difference between this guitar and the DCPA5 is the shape/size of the body. This is Martin’s Grand Performance size/shape. You can see the difference in size in the table below. The shape features a more defined waist as compared to the dreadnought. The only difference is the shape but this will affect the tone and feel of the guitar. It produces a less boomy and more mid-range strong, more rounded sound than the dreadnought (in my opinion). The choice between the GPCPA5K and the GPCPA5 will be down to what you like the look of the most and the subtle sound difference between the HPL Mahogany and HPL Koa. The major difference here is that it has a black HPL top in place of the Solid Sitka Spruce top on the other Grand Performance models. Again, in my opinion, I’d go for one of the solid top versions. This is essentially the Grand Performance version of the DCPA5 Black outlined above. The last of the 5 series models is the OMCPA5 Black. This is essentially the same as the GPCPA5 Black and the DCPA5 Black – except that it is Martin’s OM shape/size guitar. So this one has the Jett Black HPL top on it – so no solid top on this one. You can see what the difference is between the OM (aka 000) size and the other sizes is in the table below. Now we get into the PA 4 series. This series is characterized by solid wood backs and sides and solid wood necks. This also corresponds to a significant jump in price. The other difference is the Dovetail neck joint – whereas the 4 series Performing Artist Models have a Mortise and Tenon neck joint. O.k. let’s take a look at each guitar. Starting with the dreadnought models again, let’s take a look at the DCPA4. Sapele is a Mahogany-like wood and is a great pairing to go with the Sitka Spruce top. The DCPA4 will sound nicer than the DCPA5, no doubt about it. The only question is whether you consider that sound improvement to be worth the extra money. That’s entirely a personal decision that will differ depending on each person’s tonal preferences and their budget. The second and final dreadnought option in the 4 series is the DCPA4 Rosewood. So, as you’ve probably guessed, the only difference between the DCPA4 and the DCPA4 Rosewood is that the latter has Solid East Indian Rosewood back and sides in place of the Sapele on the DCPA4. This (as is usually the case with Rosewood vs Sapele/Mahogany) also bumps the price up a bit. But this doesn’t necessarily mean that your decision is only based on price. Some prefer the sound of Sapele back and sides over Rosewood and some are the opposite. So the major decision between the two is essentially what you like the sound of more. The Rosewood will help to bring out more pronounced highs and lows and more overtones. The Sapele will help to produce a stronger mid-rangey, warmer type of tone with more subtle overtones. You guessed it, the major difference between this and the DCPA4 is the body shape/size. That’s it really. That said, the shape makes a significant change to the tone. You can see how the size differs to the dreadnought size in the table below. The shape features a more defined waist between the upper and lower bouts. The only other minor difference that I noticed was that the inlay dots are at the top of the fingerboard as opposed to in the middle. This model is the same as the GPCPA4 except that it has the Solid East Indian Rosewood back and sides. You could also look at is the DCPA4 Rosewood except with a Grand Performance body shape. I really like the look of this guitar but that’s my personal preference. The only consideration between this and the GPCPA4 is what you prefer the look of – and if you want to pay the slight increase in price for the shaded version. The first, and only 12 string guitar in the Performing Artist series is the GPC12PA4. The guitar is essentially, materials-wise, the 12 string version of the GPCPA4. The obvious difference being that it has 12 strings! The other thing is that it has a wider neck (necessarily to house the extra strings). The GPC12PA4’s nut width is 1 13/16” (46mm). The first of the 4 series in the OM shape is the OMCPA4. This model is essentially the same guitar as the DCPA4 and the GPCPA4 models, except for one major difference – the size/shape. You can see the difference in the size of the OM (aka 000) compared to the Dreadnought and Grand Performance shapes in the table below. Finally, last but not least, we have the OMCPA4 Rosewood. The OMCPA4 Rosewood is the same as the DCPA4 Rosewood and the GPCPA4 Rosewood, except that it’s the OM (aka 000) size/shape). Said another way – it’s the same as the OMCPA4 except that it has solid East Indian Rosewood back and sides. Though there are 15 different guitars in the Performing Artist series, there are more similarities than differences between each model. But the differences are enough that you should be able to find one that suits you – if you are looking for a guitar in this price range with a Sitka Spruce top. 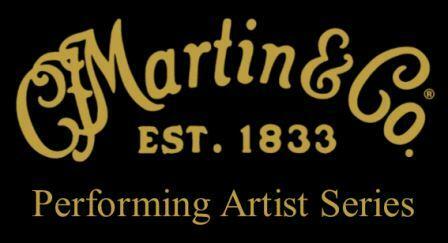 Question: I recently visited the Martin Co. factory & played several guitars. Loved one in particular. Wrote the serial # down, but when I got home, I realized I had put it under the heading D-35, yet I thought I remembered it as a GP or OM shape. Any way I can find out what the model really was? Thanks.